You may envision rows upon rows of commercial washers and dryers when most of you picture starting our own laundry service business in Bangladesh. And when you’ll see dozens of employees efficiently loading, unloading, drying and folding laundry in a Laundromat, you may be confused whether the business would be right decision or not. But, these are nothing when you’re with a well business plan and enough market research. According to the aspect of the country, the business doesn’t require a huge investment while building or developing a self-service laundry or starting a laundry and dry cleaning business. It’s not only one of the low-investment businesses but easier then you think as well. What you need to start to start is a wide market research, enough budgets, and your strong confidence to struggle to achieve your goals. Why Start a Laundry Service Business in Bangladesh? As a solution to an ongoing problem, a laundry service business provides busy people everywhere. When it comes to accomplishing more in a day and still having clean clothes for the next, laundry delivery services can be a true lifesaver. From the working parents to busy professionals along with busy businessmen, laundry services need for all in the urban. However, those who enjoy helping others manage their lives; the business is excellent for them. In order to make more money on the side, many people start this as stay-at-home moms looking for ways. Moreover, you take a major activity off of someone else’s to-do list while specializing in one cleaning task. 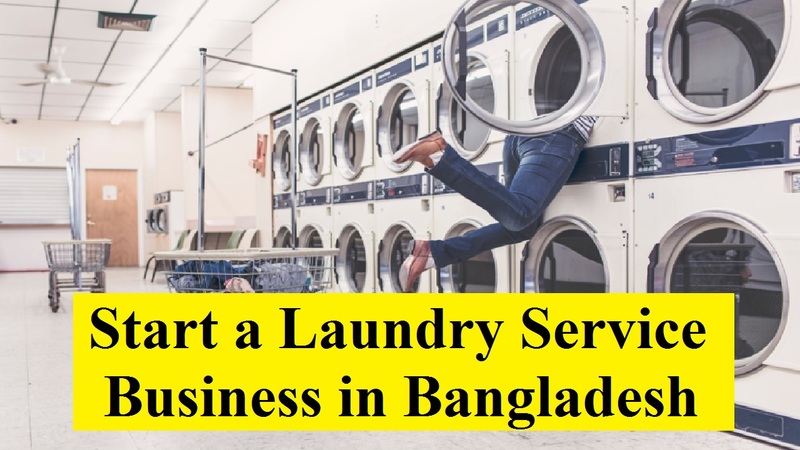 Steps to Start a Laundry Service Business in Bangladesh? As there are a variety of people who can use this service, there are various steps to start a laundry service business in Bangladesh. Those who need to have laundry done on a regular basis; you may want to target businesses. Or, even you can target or individuals who find themselves overwhelmed by mountains of laundry. Although entrepreneurs should not necessarily target the wealthier people of the community, the upper-class members of society will certainly have the more disposable income to spend on this service. Besides, you may end up getting the bigger client base you want while setting your price points in range with the busy middle class or even lower middle class. A business plan is essential for all business ideas when you think about the durability of the business. Even, a business plan will give you a deeper understanding of the market if you’re not planning on getting a bank loan or venture capital for your business. There should come at first a list of the services you’ll provide through your business. Need to specify whether you’ll deliver the laundry back to customers or offer any specialized cleaning services. So, when you need clarity about where you are heading and help you stay organized and remain on track, a business plan will give you. Conducting market research can be an effective way to ensure there is demand for laundry services in your area before you begin the venture. Also, if you want to determine how customers are likely to respond to your new venture, you have to carry out market research. So, it’s a good idea when entering any business to have experience in the industry while running your own laundry business does not require any specific qualifications or experience. Thus, not only learn more about the trade and what customers want but it may prove valuable to take a job in a laundry facility. Making a target market to go after is one of the important picks for every entrepreneur. So, think about who your target market will be when writing your business plan. Also, your target market could be fairly broad with a laundry business. And it may range from elderly customers to busy working moms. Moreover, when it comes to marketing your business, map out your target markets. This is because making your target market is essential for a business. Think about ways you will distinguish yourself from competitors apart from making sure you have a good location. For example, you may offer lower prices than competitors along with specialized services, such as ironing and dry-cleaning items or offer lower. As a result, encourage customers to come to you by offering ‘first-week deals’ when you open the business. This is the way that you can make separate your business from the business competition. Read More: How do I Start a Small Business on a Low Budget? A location matters when you intend to start a laundry service business. Although when you’ll be meeting your customers to pick up and deliver their garments, your location may not really matter. But, you may be spending a lot of money on petrol for your delivery van if the distance is too far apart. In this case, what you can do is good to agree with your clients that you’ll come around to pick up or drop their stuff. This is not only a plan to route around the town but you can be more organized. Start marketing your venture aggressively when you have everything in place to open your laundry service business. There are endless ways to market your laundry business to different target markets. These include from posting fliers to sending direct mail, and even getting your own website launched.